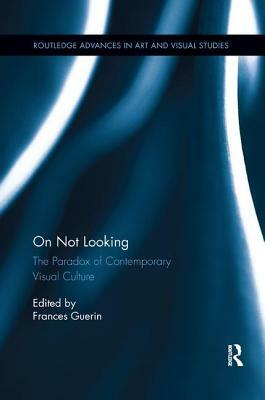 On Not Looking: The Paradox of Contemporary Visual Culture focuses on the image, and our relationship to it, as a site of "not looking." The collection demonstrates that even though we live in an image-saturated culture, many images do not look at what they claim, viewers often do not look at the images, and in other cases, we are encouraged by the context of exhibition not to look at images. Contributors discuss an array of images--photographs, films, videos, press images, digital images, paintings, sculptures, and drawings--from everyday life, museums and galleries, and institutional contexts such as the press and political arena. The themes discussed include: politics of institutional exhibition and perception of images; censored, repressed, and banned images; transformations to practices of not looking as a result of new media interventions; images in history and memory; not looking at images of bodies and cultures on the margins; responses to images of trauma; and embodied vision.